As seasoned veterans of the Outreach and Project Development team, we are now embarking on a journey as managers! Being team members for the duration of our first year and now coming in as managers has allowed us to see the growth and evolution of this team. With a two-fold team, we have been lucky enough to watch projects come in, engage with their development, and pass them along for a possibility in publication, as much as we have had the opportunity to coordinate the Write to Publish conference. With one year under our belts, this year comes with new challenges and hopeful successes. The project development side of our team has been established for over a year now, and we are happy to announce that we handed off two projects to the acquisitions department during the past few months. Although we can’t go into specific detail, both projects were nonfiction. One of them was unfortunately not accepted, but the other was pitched and acquired by Ooligan! Passing off a project and having it acquired by the press was a huge milestone for us! We are continuing to work with acquisitions to develop an effective streamlined process between our two teams. By solidifying a handoff document, we can ensure that acquisitions is provided with a substantial amount of information on the projects we pass to them. Currently, our team is working on two fiction manuscripts and has agreed to partner with an editor to create a science fiction anthology with the help of several contributing writers. On the other side of our team, Write to Publish 2019 planning is underway! 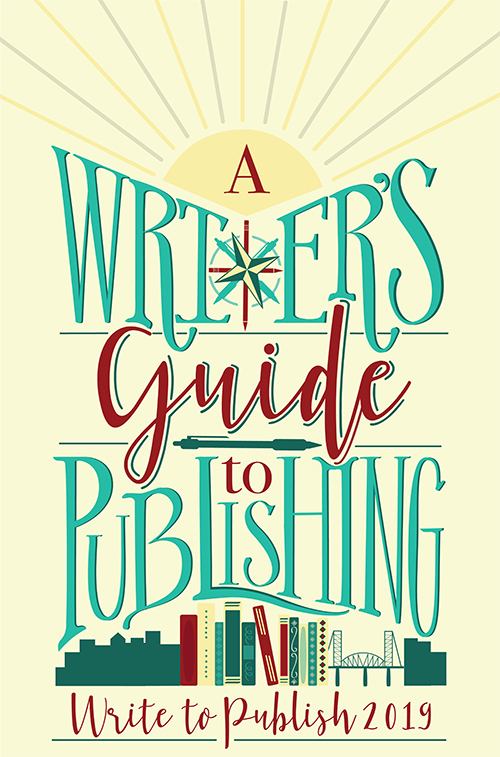 The theme of this year’s publishing conference is A Writer’s Guide to Publishing. We hope attendees will come away with a better idea of how to navigate the publishing process and how to find helpful mentors along the way. Date: The conference will take place on Saturday, April 27, 2019, in the Smith Memorial Student Union. Presenting Sponsor: A huge thank-you to Image Comics for being our presenting sponsor. Image Comics is one of the largest comic book and graphic novel publishers in the US, and we are very lucky to have their support. Keynote speaker: We are happy to announce that Kate Ristau, executive director of Willamette Writers and a talented author, will be our keynote speaker this year. Kate is an active member in the Portland literary community, and we’re thrilled that she can share her wisdom and insight about her experience with the writing and publishing process. Panels and Seminars: The conference will feature six panels and five seminars. This year, we decided to change what were previously known as workshops or interactive learning sessions to seminars. We believe this more accurately describes the educational experience gained from these leader-driven sessions. We will also implement a networking opportunity in place of our usual sixth seminar to allow more community members and industry professionals to meet one another and make meaningful connections. As we continue to work on branding for this year’s conference, we frequently reference the thoughtful feedback we received from last year’s participants and attendees. Although this is a fundraiser for our program, more than anything, we want this publishing conference to be a valuable contribution to the community. We hope to inspire and inform writers about this amazing industry and “guide” them through the process to publication. Visit our website for more updates as we get closer to the conference!